arises from respiratory infections such as TB and HIV, tobacco smoking and nutritional impairment. Patients with breathlessness related to CLD create damage to the economy through lost productivity and disability, and direct health service costs with frequent and prolonged hospital admissions. People with CLD are prone to breathlessness, inactivity, de-conditioning, declining health status and prognosis. CLDs are disproportionately prevalent in deprived populations and many sufferers can neither afford the drugs nor transport to medical clinics. While medication may improve lung function and symptoms in some patients, for those with irreversible damage pulmonary rehabilitation (PR) is the only treatment and can be very effective. PR is a programme of exercise, education and self-management. PR involves existing local resources such as nurses, doctors, physiotherapists and clinic staff. PR allows patients to help each other and themselves, without major capital outlay or equipment. 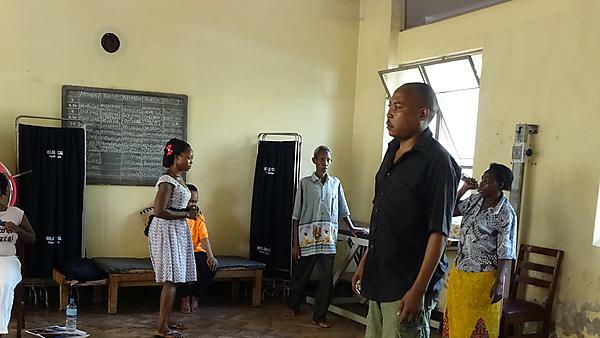 We have completed a pre-post intervention study in which we set up and ran a PR programme in Mulago Hospital, Kampala. A multidisciplinary team of doctors, nurses, physiotherapists and others ran 5 groups with 34 patients with chronic lung damage secondary to pulmonary TB. Results confirm that the programme is feasible and acceptable to patients and to the hospital staff at all levels. Major improvements were seen in exercise capacity and health status. In many patients, the experience was life-changing, allowing severely incapacitated patients who were entirely dependent on others to now function normally in work and social activities. PR uses local resources, requires little investment, and offers a new, sustainable therapy for p-TBLD in resource-limited settings. With the rising global burden of CRD, further studies are needed to assess the value of PR in p-TBLD and other prevalent forms of CRD. MRC Wellcome and DFID Joint Global Health Trials £162,880. 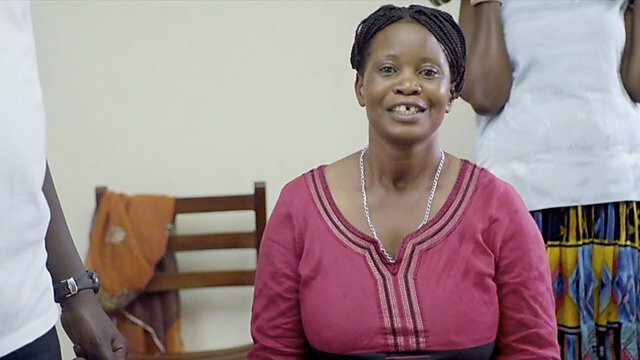 The University of Plymouth is now part of a £2 million project with University Hospitals Leicester and the University of Leicester, focusing on developing, testing and delivering suitable PR programmes in four low and middle income countries (LMICs): Kyrgyzstan, Uganda, India, and Sri Lanka. "Two years ago our patient, an 18 year old woman, developed pulmonary TB. She became unwell with cough, fever, haemoptysis, breathlessness and weight loss. She had TB treatment but did not recover properly as she suffered with recurrent infection in cavitating lesions and was given repeated courses of antibiotics. These made little difference; she remained weak, tired, unable to attend school, very breathless, could only walk short distances and could not carry anything heavy." "She had severe chest pains, especially at night. She became very depressed and worried for the future. Eventually she saw Dr WK in 2013, who referred her to the pulmonary rehabilitation programme and she attended throughout. She is now back to normal, attending school, and feels strong again "I have so strong muscles and bones". She has gained weight, her chest pains and haemoptysis have gone. She was so pleased that she came especially to thank me. She wants to be a doctor."